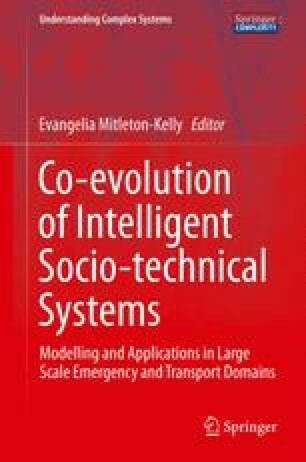 Designing complex socio-technical systems poses significant challenges due to the large number of design options and the interdependency between the societal and the technical systems, resulting in a co-evolution of the two. This is particularly true for the emerging technologies commonly referred to as Ambient Intelligence which couple the two systems more intimately than before. This chapter proposes empirically grounded simulations as tools for the experience-based exploration of the design spaces of socio-technical systems. These explorations are called experience-based because the simulations afford direct participation by human actors. A case of such an exploration is presented, namely the design of advanced tactical navigation support for firefighters during search and rescue operations. Based on this case, the potential and limitations of simulations as tools for design are discussed and some conclusions are presented for how to make best use of them. The European Commission supported this research as part of two projects (www.project-profitex.eu and www.socioncal.eu). Many thanks go to my colleague Mirko Geissler for his work on FireSim and during the user studies, as well as to my other colleagues and our master students Anisa Stefi and Ashwin Mani for their work on the agent-based simulations.